Hey, it’s just New Jersey stuff! As a one-time New Jersey resident, I can’t say that I am surprised by the bizarre “punish Fort Lee by causing gridlock” tactic perpetrated knowingly by top staff of Governor Chris Christie, with the complicity of their friends at the Port Authority. That’s just a typical example of what I learned during my tenure in the Garden State; it’s called New Jersey Stuff — and if those outside of New Jersey have trouble understanding it, so much the better, as the locals see it. As for the New Jersey style of retaliation, that has not changed too much over the years, either. In the late 1960s, I was appointed the first chairman of the business administration department of the fledgling Atlantic Community College in Mays Landing, New Jersey, not very far from Atlantic City and other South Jersey Shore communities. It did not take long for me to realize that all sorts of abuses were taking place right under the noses of local and area officials: wages for hotel and restaurant workers were way below what was being paid elsewhere, particularly for women; old hotels got away with numerous health and safety violations which put customers and staff at serious risk; drugs and prostitution were rampant and unchecked; violent crime was taken as a matter of course — the list seemed endless. Along with some other Atlantic Community College faculty and a group of community activists, I decided to try to set matters right in South Jersey. We wrote letters-to-the-editor of the Atlantic City Press, staged demonstrations, went to many meetings and spoke out forcefully on issues, and generally became pains in the hindquarters of the establishment. What I did not realize at the beginning was that crime syndicates from both Philadelphia and New York were very much involved in Atlantic City and Atlantic County shenanigans, and were “dipping their beaks” into the area. Hey, things like that only happened in the movies — at least, that was what I thought, as I shrugged off warnings from South Jersey natives that I was headed for trouble. New Jersey Governor Chris Christie, the media proclaimed frontrunner for the 2016 Republican presidential nomination, finds himself at a potential political dead end as a result of a scandal involving a deliberately ordered traffic jam. His current predicament flows from mysterious lane closures to the George Washington Bridge which connects upper Manhattan to Fort Lee, NJ. The George Washington is the most heavily trafficked bridge in the world. The lane closures created monumental traffic, effectively shutting down Fort Lee and spilling into several neighboring communities. 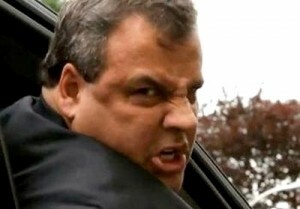 Many Christie observers immediately suspected the lane closures constituted some form of payback, while others cited the incredibly petty nature of the act as a reason to doubt Christie’s involvement. It was theorized that the lane closures and resulting traffic jam were meant to send a message to Fort Lee Mayor Mark Sokolich who had rebuffed Christie’s invitation to cross party lines and support his bid for re-election. Still, there were reasons to doubt the assertions of deliberate intervention. Christie was leading in the polls by as much as 70% and was in no threat of being denied a second term as governor. The idea that he would purposefully subject part of his constituency to unprecedented traffic delays simply because a democratic mayor refused his invitation for support seemed implausible to many. Jersey City Mayor Steven Fulop took aim at Gov. Chris Christie Thursday, despite Christie’s efforts to describe a good relationship with the city during his apology for the George Washington Bridge scandal. The Republican governor was contrite in his first appearance since e-mails and text messages released Wednesday implicated a former top aide in the political controversy. His remarks during a late-morning press conference included claims that his administration has worked well with Jersey City, including a meeting held with earlier this week, despite rumors that Fulop has been punished for not endorsing Christie for re-election last year. But Fulop issued a statement early Thursday afternoon that blasted the remarks.